Solid silver hammered 12mm teardrops mixed with pear shaped faceted tourmaile drops in blues greens pinks and yellows. Hanging from a silver of gold plated (Gold Vermeil) chain of 3mm round faceted tourmaline beads. 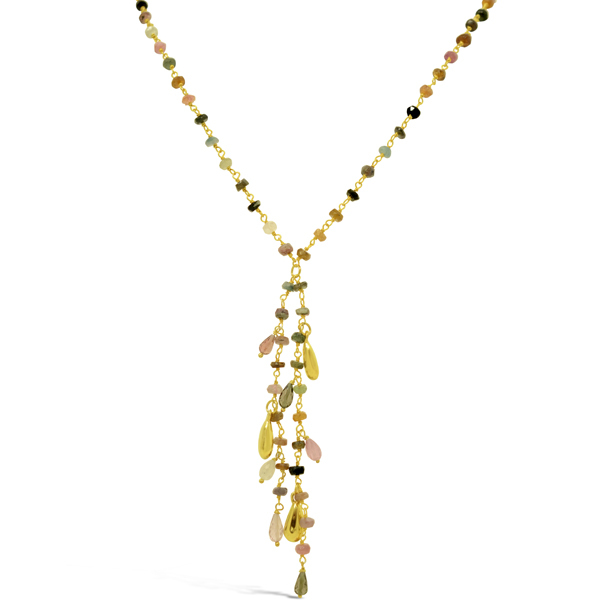 Necklace is 16-18″ with a 3″ tassle drop.